Over the past couple of weeks I’ve learned a lot about Iranian culture in the past couple of weeks, thanks to the 26th Annual Festival of Films from Iran at the Gene Siskel Film Center here in Chicago. Of course, my knowledge was limited, which was the impetus for my partaking in this festival. One aspect of the country’s culture that I was introduced is the practice of “temporary marriage”, sigheh (or Nikah mut’ah), as it’s called, which plays a role in two of the festival’s films, ne of which is Alireza Raissian’s “Time to Love”, which has received a wide audience in Iran, becoming Iran’s second-biggest box office hit of 2015. Granted, it’s a concept that’s hard for Westerners to comprehend, so I felt compelled to research it after I saw this film and before I wrote this review. Now, my understanding of the practice is still growing and I really only researched it in order to better understand this film and Hossein Shahabi’s “The Sale”, but I think it only resulted in further confusion on my part, much like the screenplay of “Time to Love” (or “Dorane Asheghi” as it is called in Iran), which, apart, from the three main characters, is clogged down by a handful of supporting characters that winds up convoluting the picture instead of informing the story. Apparently, temporary marriage has been around for quite some time, going back to the days of Mohammed. It was accepted, then frowned upon and accepted yet again, even becoming legally binding. The more Iranian films I see, the more I realize a general understanding of matrimonial practices is helpful in order to comprehend what’s happening in the modern-day dramas being made. So then, what is a temporary marriage? Well, from what I could tell, it usually involves a permanently married man who has an affair with another woman and decides to marry her, as well – as a secondary wife, thus deeming it a temporary marriage – or, a little more than a “friend with benefits” on the side to satiate a man’s needs. The duration of the marriage is specified and agreed upon in advance as is the dowry (or mehreih), in the form of a private contract made in a verbal or written format. A declaration of the intent to marry and an acceptance of the terms are required. 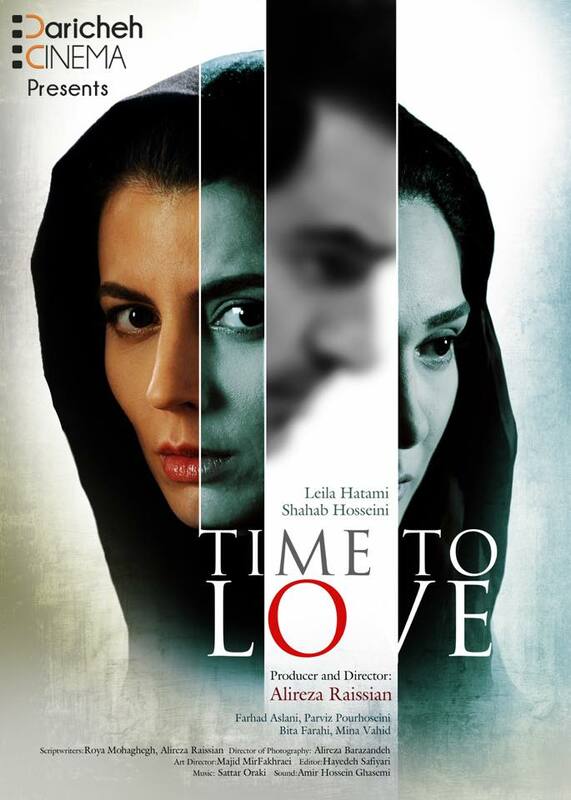 The controversial practice plays significantly in the plot of “Time to Love”, which follows Bita (another fine performance from Leila Hatami, who co-starred in “A Separation”) a successful lawyer who has her own practice that specializes in championing women’s rights in divorce cases. However, she’s blind to her own marital woes, when she takes on a newly pregnant client (Mina Vahid) and discovers she’s her husband, Hadim’s (Shahab Hosseini, also from “A Separation”) mistress and second wife. Obviously, such a discovery is a shock to Bita and this realization begins to unravel all her decisions at work and home, despite support from her father (Parviz Pourhessini) who helps take care of her son, Parsa. Hatami, makes nuanced choices as Bita that makes the character far more interesting than she should be and her work is easily the highlight of the film. Watching the character go about her day as a mother and lawyer is surprisingly fascinating – that’s probably due to my Westerner perspective – but, seeing how Bita, a confident and independent woman, function and eventual malfunction at work and home is a fascinating viewing experience. If the screenplay by director Alireza Raissian had only been streamlined, this film would’ve had a stronger impact. As it is, he crowds the story with characters whose purpose and roles are confusing, with one too many subplots that derail the overall drama of this unexpected love triangle. As for love – it seems to be missing in this film, which leads me to believe that the film’s title is lost in translation. It’s unfortunate that such a fine performance from Hatani is wasted in a busy screenplay and unmemorable directing from Raissian. Nevertheless, this is a film which earned a Best Screenplay award at last year’s Tehran’s Fajr Film Festival – so again, there could be more lost in translation here.